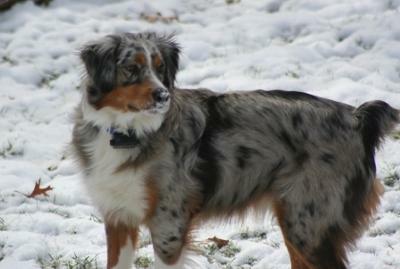 Fezzik is a 7 month old Aussie that loves the outdoors! He is being trained to be a therapy dog for nursing homes and schools. wow, 7 months? He is gorgeous! God bless you both.